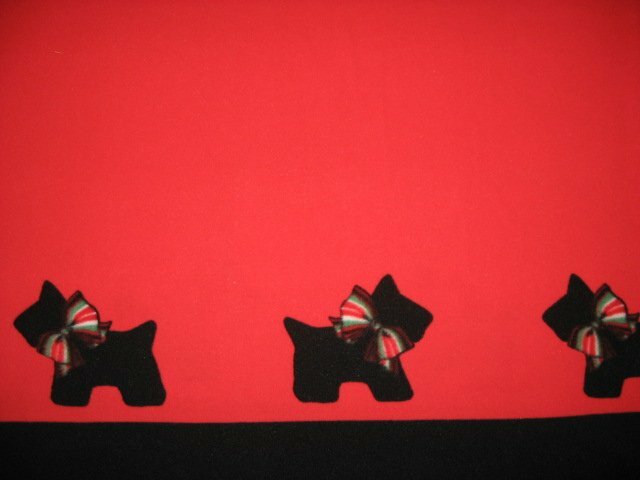 Quality, lightweight unusual blanket depicting a black border on each edge with a row of Scottie dogs along each black border. There is only red fleece in the middle. Each dog has a neck bow. The dogs you see in the photo repeat along both borders. 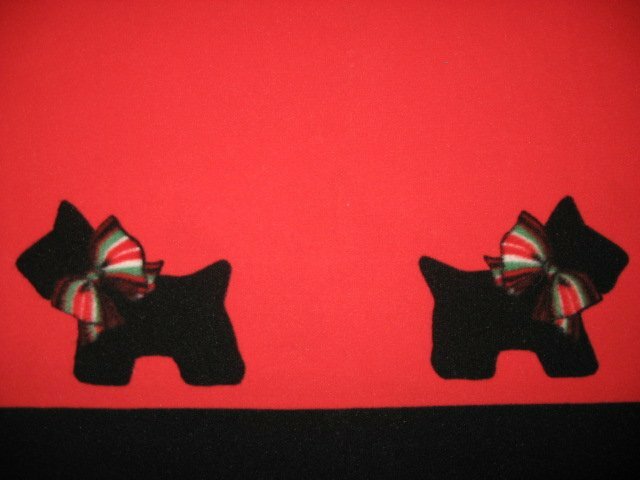 The backside of this fleece is much lighter than the front side, and is polyester.<>This blanket 52" X 66".